Sending "good morning" text messages to your boyfriend will make your man's day so good because his day starts with a lovely greeting from you. Send these romantic messages to him to convey how much you love him and care for him. Make sure he has an amazing start of the day. Everyone loves to be remembered but even more importantly, everyone wants to be remembered by the one he loves. Why not take advantage of that and put a smile on your boyfriend’s face? Make him smile! It is one of the most romantic things you can do. People usually never pay attention to such good morning texts for boys; instead, they only focus on good morning texts for girls. Well, we are going to change that. 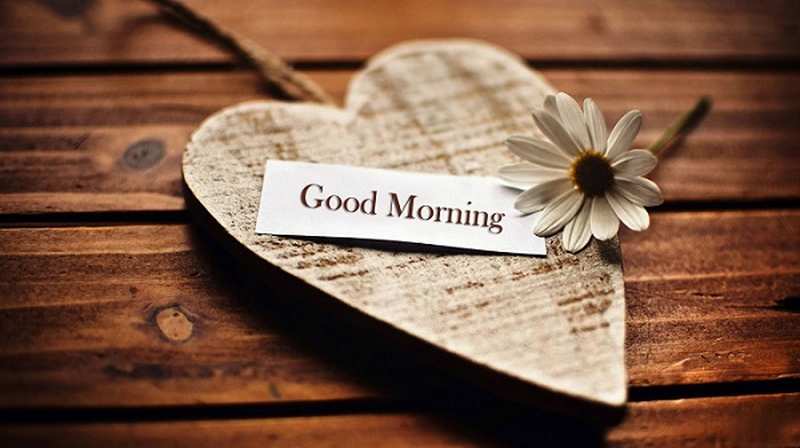 Here are a few creative and cute good morning texts you can send to your boyfriend. 1. Hey handsome, good morning! 2. Have a good morning. I love you. 3. The hottest person alive has awoken! 4. Even though it is raining, you make me see a sunny sky. 5. Just thinking about you brightens up my day. 6. I am counting down the seconds till I see you again today! 7. I am sending you this message not just to say good morning but also to put a big smile on your face. 8. This message is to let you know that I am thinking of you since the second I woke up. 9. You make my dreams and wishes come true, good morning! 10. You must have been a coffee bean in a previous life because you start my day up! 11. You turn my frown upside down. Even if I cry, you make me smile. Good morning. 12. My day starts and ends with you. Not the sun. Good Morning. 13. You are the sunshine that makes me smile. 14. I spent the entire night dreaming about you, and now I want to spend the entire day with you. 15. The sun and the misty dew remind me of your beautiful face. Good morning. 16. Even though it takes a heartbeat to think about you, the smile that follows lasts the entire day. Good morning! 17. I hate waking up because then I can’t dream of you. Good Morning. 18. As long as I have you in my arms, everything will be alright. Good Morning. 19. You are the only reason that I am happy. Have a good morning. 20. The only thing that matters is that we will always be together. Good Morning. 21. The only thing this wonderful morning reminds me of is you. Have a nice day! 22. I am so lucky. Every day my dream comes true just because of you. Good morning. 23. Every day, I am lucky enough to date a prince from a fairytale. Good Morning. 24. You are the star that twinkles in my sky and the sunshine that brightens my life. Good morning. Oh, never miss these types of "good morning" texts for him! 25. You’re the ocean and I’m the beach. We belong together. Good Morning. 26. I want to spend as much time with you as I can. Good Morning. 27. The first thing I do is text you, since you are the only sunshine in my life. Good morning. 28. Love you. Good morning. 29. If I could, I would relive every day spent with you. I love you. Good Morning. 30. I went to sleep smiling because I would dream of you, but the smile on my face right now is because you are not actually a dream. You’re mine. Good morning. 31. If you only knew how well it felt to wake up every morning to realize you are mine and I’m yours. It is magical. Good Morning. 32. It does not matter if I consume coffee or tea. It is all the same as long as you are thinking about me. 33. You are the one and only dream that came true. Good Morning. 34. What used to be nightmares are now dreams and what used to worry me now makes me happy. It’s all because of you, love. 35. I wanted something to keep me warm this cold morning so I thought of you. Good Morning. 36. I would give you loads of hugs and kisses but I guess this message has to suffice. Have a wonderful start. 37. Every breath you take, I’ll be thinking of you. You are the sugar in my life. 38. I was sweating heavily not because of the hot weather but because of the hot dream I had of you. 39. Nothing can be as surreal as the kisses you give me. 40. Your coffee will have a dollop of hugs and kisses from me. Enjoy your day love! How beautiful love is! Here you go! 40 unique and affectionate "good morning" texts for him! Any one of them will make his day so much better, while thinking about you. Spice things up and keep sending him these texts regularly. After all it’s not only girls that like to be loved and pampered.